What is the Fujifilm Instax Mini 9? Instax cameras have been a safe starting point for anyone interested in instant photography for the best part of thirty years, and the Fujifilm Instax Mini 9 might be the most user-friendly one yet. Fuji’s entry-level camera is inexpensive, easy to operate, and doesn’t overload you with features or accessories. It is more concerned with clearly capturing the moment than delivering lo-fi aesthetics, and should appeal to anyone new to the medium as well as those who know exactly what they’re doing. 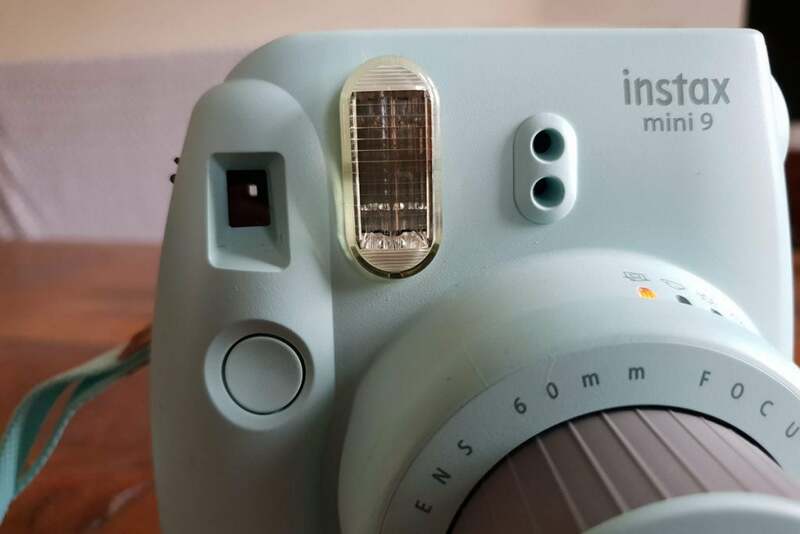 The Instax Mini 9’s backs up its toy-like design with simple, intuitive controls. 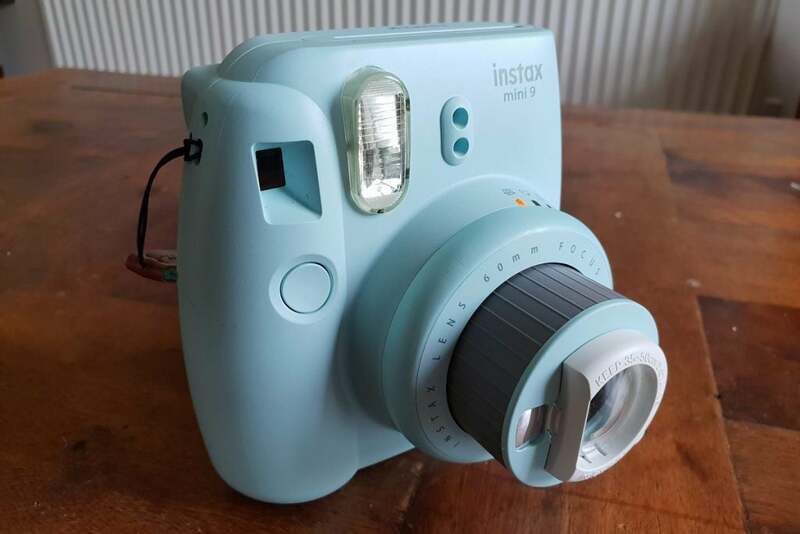 The camera retails for a very reasonable £75, and includes a ten-photo pack of Instax Mini film to get you started. Instax film is now so ubiquitous that even rival manufacturers use it, making it more established (and cheaper to buy) than Polaroid Originals’ alternative. It might be moulded from plastic, and the chunky, bubble-like design makes it look a little toy-like, but the Mini 9 doesn’t feel cheap. Load a pack of film and it even has a reassuring amount of heft. The bulbous grip makes it easy to hold and shoot one-handed, and the included hand strap should stop any slips or drops. There’s also a selfie mirror on the lens barrel, which makes self-portraits a little less hit-and-miss than the outgoing Instax Mini 8. Using the viewfinder to frame shots can be a little tricky at first due to the parallax effect, but you’ll quickly get the hang of it. There are deceptively few controls, without even a tripod thread on the bottom of the camera, although the Mini 9 is smarter than it looks. Push the button by the lens barrel and the lens extends mechanically, turning on the camera and pre-warming the flash. An LED on the barrel indicates the amount of available light, and you simply twist the lens to match for the best possible exposure. Lining up shots can be a little tricky on account of the tiny viewfinder. It has a guidance spot in the centre, but this doesn’t account for the parallax effect, which can lead to some off-centre shots. It’s something you’ll quickly adapt to after your first few photos, but something to keep in mind. Prints are spat out of the top of the camera, while a light on the back shows how many shots are left in the current pack. The only other button is the shutter: line up your shot, give it a squeeze and your print is ejected out the top of the camera. The film tray is held in place with a strong clip, and an indicator on the rear shows how many shots are remaining in the current pack, so you don’t accidentally open the tray and ruin the rest of the pack. 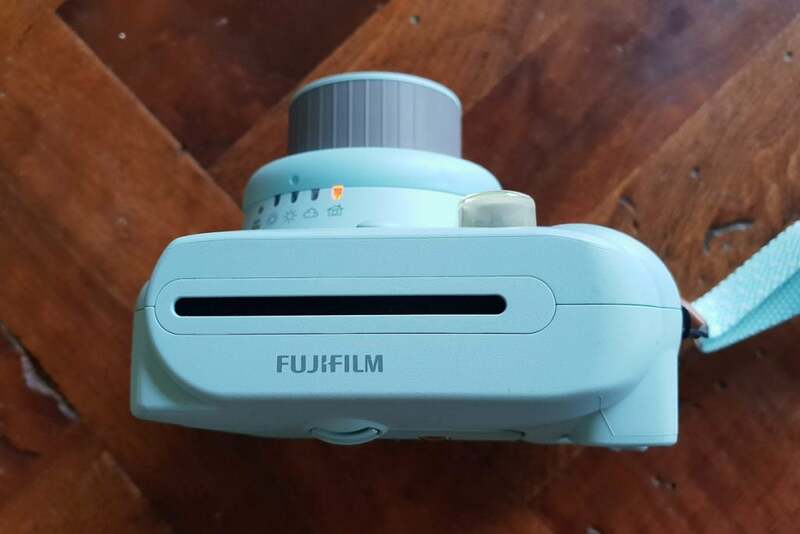 Fuji is generous with its bundle, including a ten-pack of film and two AA batteries in the box, along with the close-up lens attachment which clips in place on the end of the lens barrel. That’s everything you need to start snapping. 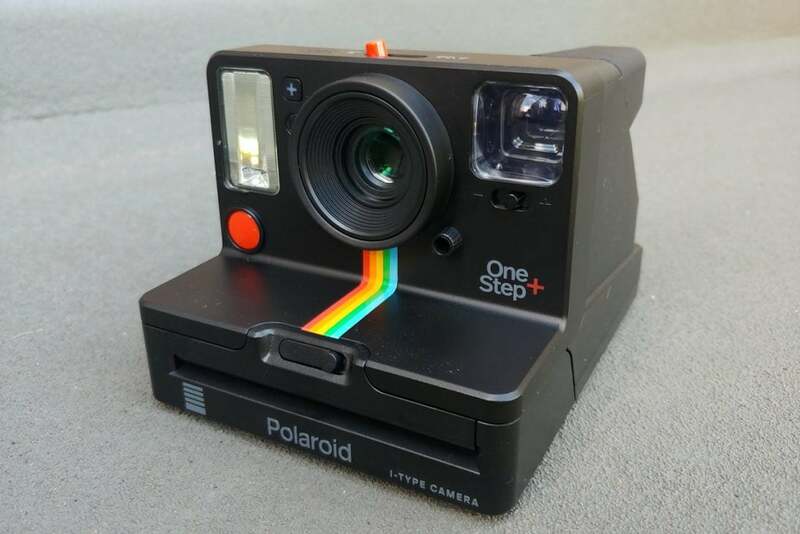 Many instant cameras create an exaggerated, dreamy effect with their photos – but the Mini 9 is absolutely not one of those cameras. Fuji’s style is much more like traditional film, with accurate colours and true-to-life captures. Get the exposure correct and your photos will have vibrant colours and plenty of detail. Shots do tend to have a bit of a vintage vibe, but much less so than rival cameras, and any visible vignetting is only slight. Once you get the hand of using the metering LEDS, exposure is impressively accurate – although the macro-style attachment for close-ups is more hit-and-miss. Focus is almost always accurate, coping with anything further than 2m away from the camera. The optional close-up attachment is more hit-and-miss, working best for objects between 30cm and 60cm away; any closer or further and your shots will end up blurry. As much as it tries to hold your hand when it comes to exposure, the Mini 9 isn’t infallible. First of all, the metering LEDs are in an awkward position, forcing you to line up your shot using the viewfinder, hold the camera in place then move your head to check you have the exposure set correctly, then re-check your composition and take each shot. 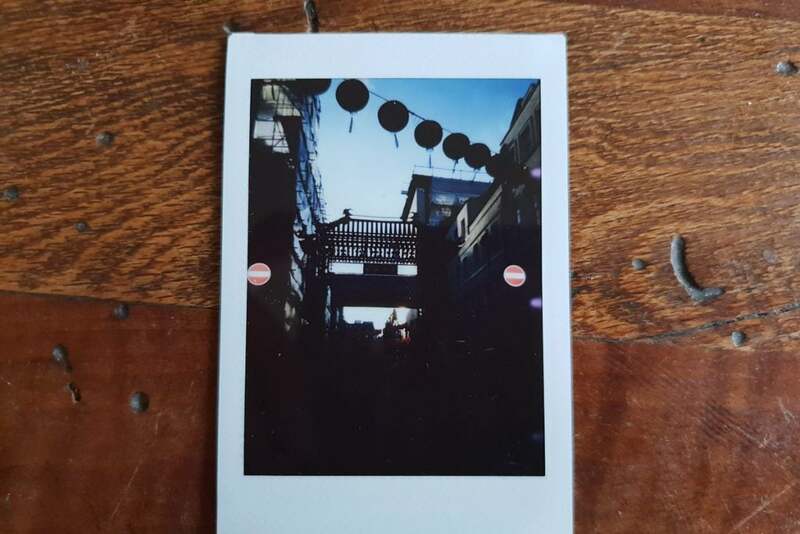 The Instax Mini 9 can be a little thrown off by high contrast scenes, though this isn’t uncommon on instant cameras. And even then, the metering is measured from the body of the camera, not from the lens, so can sometimes be thrown off by high contrast scenes. Outdoor locations with lots of shadow would still suggest the “Very Sunny” setting, leading to underexposed shots if you simply followed instructions. This is pretty much guaranteed to catch out any first time Instant photographers. There’s also no way to disable the flash, other than to cover it with your hand, which is awkward if you have a particular shot in mind. Once you’ve adapted to these foibles, however, the Mini 9 can still produce high quality instant photos. 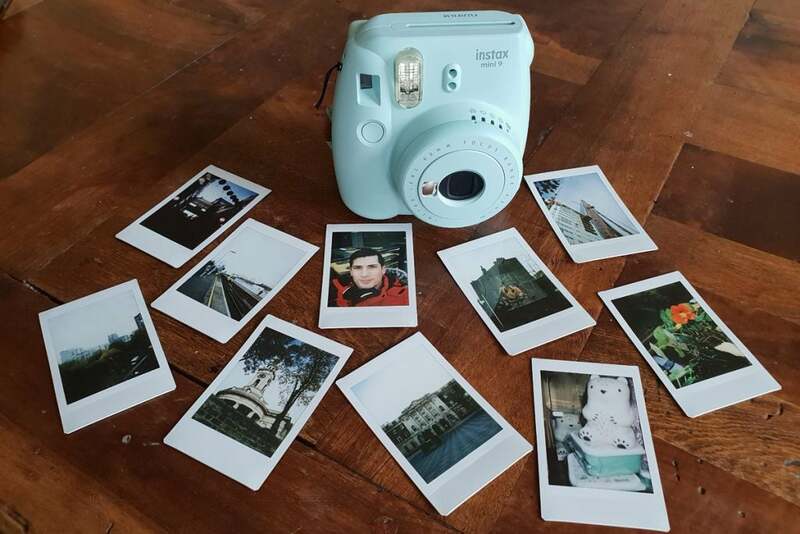 Why buy the Fujifilm Instax Mini 9? If you’ve never tried shooting on instant film before, the Mini 9 is an excellent starting point. It doesn’t create the exaggerated, lo-fi photos you’d find from a Lomography camera, but nor does it have superfluous extra lenses and accessories to lug around. It’s easy to use and even holds your hand when it comes to metering and exposure, which while not always perfect, means this is still as close to point-and-shoot as instant cameras get. The affordable price makes it the obvious choice for beginners. Buy 10-packs in isolation and Instax Mini isn’t quite the absolute cheapest form of instant film around, but twin packs and bulk buy deals bring the price of each photo down to below 70p – a big saving compared to rival cameras. While it lacks the advanced features and extras that might appeal to more experienced photographers, for everyone else this is the ideal way to get started with instant film. The Instax Mini 9 has pretty much everything you’d want to get started with instant film, and none of what you don’t. The prints are small and exposure is sometimes a challenge, but even with some minor flaws this is the ideal starter camera for anyone new to the medium. More than twice the price of the Mini 9 once you buy some film to put in it, but the OneStep+ is a lot more flexible thanks to built-in Bluetooth and a clever companion app. If you want more than the basics, this is a sensible step up – even if film packs are more expensive than Fuji’s. 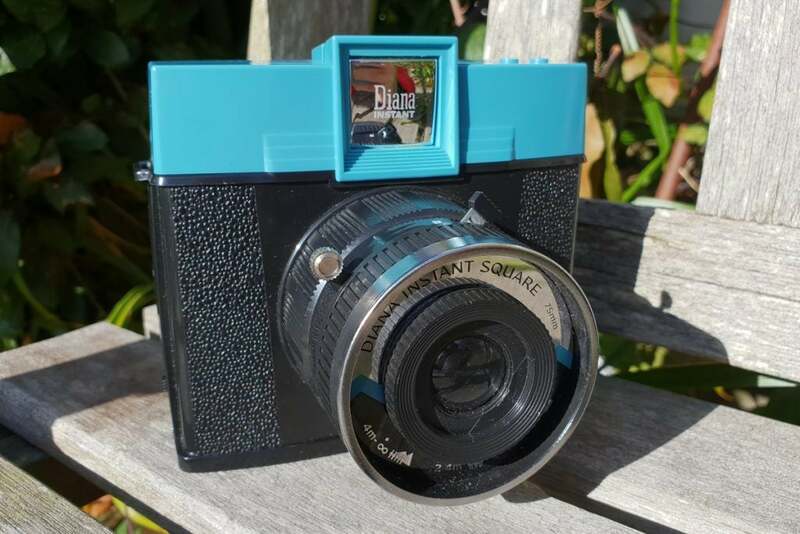 Only slightly more expensive than the Mini 9, but able to shoot larger Instax Square photos, the Diana also has Lomo’s signature look, which means dreamy and subdued shots that may or may not be in focus. Not one for photography purists, but distinctive all the same. Also available with a ton of accessories. 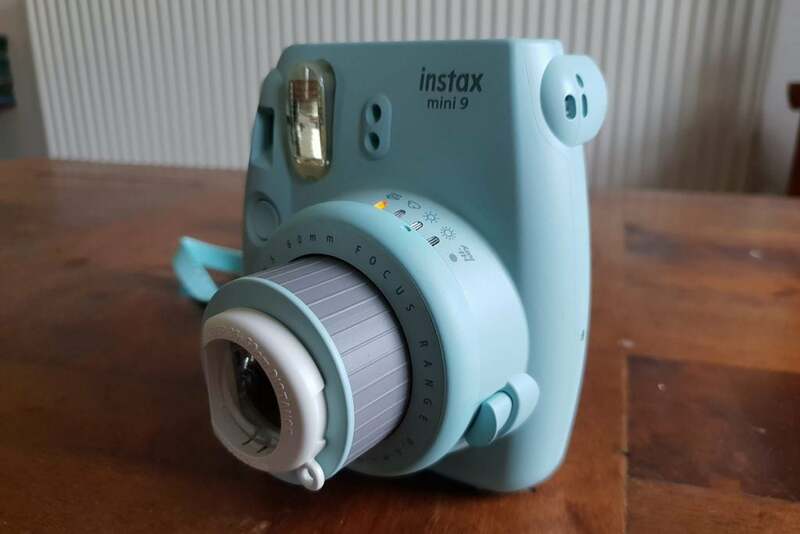 The post Fujifilm Instax Mini 9 appeared first on Trusted Reviews.